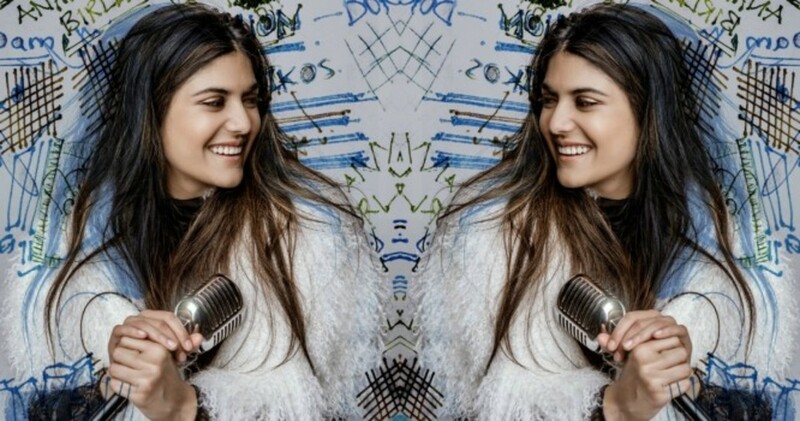 While there may have been numerous Indian singer-songwriters that thrive on the global stage over the past few years, nobody did it quite like the 24-year-old singer Ananya Birla, who became the first artist to ever had her singles go platinum in India… with an English Song! For Outlet’s readers who are not familiar with your music, how would you describe your sound? Electro-pop, with an emphasis on pop. And always authentic and emotionally driven. My sound is still developing and is continually being influenced by the places I go and the amazing people I get to work with around the world. I’m recording right now in Atlanta, and in my upcoming releases I’m playing with some different styles. Some of it is more acoustic and I have been experimenting with incorporating some traditional Indian elements which has been very cool. Bring us back to your initial “Eureka” moment where you decided that you want to be a professional singer-songwriter. I always loved music but I was not always convinced I could make a career of it. I was a really shy kid, but playing my instruments and singing allowed me to open up and express myself. When I got to University in the UK, I had a tricky time adjusting. The quiet streets of Oxford were a massive change from the hustle and bustle of Mumbai. Music became my escape. Whenever I could, I headed to London, initially to go to gigs and later to perform myself at whatever grungy venue would take me. I found a sense of belonging there. My “eureka” moment is a little odd I guess. I was at a dive-y bar in Camden, near where Amy Winehouse started out. I started out singing to around 4 people, on a dark, sticky stage in the corner of the room. Everybody else was caught up in their own stuff or were too far away to hear me. But I loved it. I realised that no matter where I was, or who I was performing to, nothing made me happier or feel more comfortable and complete. Later that evening, people began to get into it, and were really vibing. The crowd was super diverse. You had weathered London rockers and students from all over the place. It showed me the awesome power of music to connect with people, no matter who they are or where they are from. Unlike previous tracks like “Hold On” or “Meant to Be” that recounts romantic relationships, your newest track “Circle” expresses an unconditional love and loyalty for best friends. What inspired you to write this track? With Circles, I wanted to say thank you to my best friend, who has been with me through everything. I also wanted to celebrate friendship which I don’t think gets as much credit as it’s due. I wanted to write about something different. We tend to overlook the relationships we have with our friends, which are just as important and shape our lives just as much as romantic relationships. Congrats on being the first Indian artist with an English single to go Platinum in India! Is there any other Indian artist that you want to give a quick shoutout for us to look forward to? I always believed that an Indian artist could be successful with an English-language record, and I think going Platinum proved that. I hope that the positive response to my music encourages other young musicians in India to be less afraid of taking chances and thinking globally when they create songs. There is so much undiscovered talent back home that deserves to be heard. You should definitely check out Parekh & Singh, they have this totally unique sound and are at the forefront of India’s growing indie scene. They also make really cool videos. We can’t possibly forget your collaboration with Afrojack. “Livin’ The Life” is such a banger! Tell us your favorite moment out of the whole process of working together with Afrojack. Thank you, Anthony. We had a lot of fun working on that. I learned a huge amount from him. He is like this wise, super-tall, music guru. What are some of the musical ventures that you wish to do in the future but you haven’t had the chance to do it yet? I love to collaborate. Working with other people helps you move a song to the next level by taking you out of your comfort zone, introducing you to new musical processes, and encouraging you to up your game. There are so many people I want to work with. Both new musicians, who I am getting introduced to whenever I am in the US and London, and established ones. From AR Rahman, to Zayn Malik, Charlie Puth, there are loads of people I’d love to get in the studio with. It would also be an honour to write a song for someone. The dream would be to co-write with Sia. She spent so long under-the-radar writing songs which soar up the charts like Rihanna’s Diamonds which apparently she wrote in like 15 minutes! Getting something signed off by her would be massive. The first instrument I learned to play was the Santoor; it’s kind of like a guitar but you play it in your lap and it has more strings. That was my first introduction to the structure of music so it has probably influenced me more than I realize. My upbringing in Mumbai continues to inspire me, Indian music has some amazing elements that I think the rest of the world needs to hear more of. It is tricky to incorporate the sound into the work I am doing at the moment, but we are having a lot of fun being experimental. On a few of my upcoming tracks we have struck a great balance. Let’s talk about your life outside of music. Being born in the business empire of the Birla Family, you have quite a lists of responsibilities of being a successor. How do you balance the hectic life of an entrepreneur and the touring life of a musician? There were some expectations, but my family have always respected me as an individual and encouraged me to pursue what makes me happy and fulfilled. In terms of time-management, I wouldn’t be able to do it without the help of my awesome teams who keep things moving on the ground. All of my ventures took a lot of energy and focus to set-up but are in a place where I don’t need to be running everything on a day-today basis now and have more time to spend in the studio and developing my personal passion, which is music. Like most young people these days, I don’t want to be boxed in to one path, one career, one label. The older I get, the less I am scared to take risks and the less I am affected by what other people expect of me or say about me. I have tried to live my life according to other people’s expectations and it made me miserable. I don’t think anyone should be forced into a box, we all deserve happiness and the space to express ourselves as individuals. That’s what I want to remind people. Having experienced anxiety and panic disorders, you’re also a mental health campaigner with your foundation “Mpower”. How did your own experience lead you to promote mental health disorders? When I was at university in the UK I had a tough time fitting in initially. I was studying economics and trying to start a business and I was alone, half way across the world, living in an environment that (though lovely) was completely alien to me. I felt completely unable to reach out for help for fear that people would undermine my abilities or make presumptions about me. So instead I kept it all inside and it manifested in anxiety and panic attacks, sometimes I couldn’t go outside for days at a time. I was ultimately able to get the support I needed but so many people (especially back in India) have nothing and no one to turn to. I don’t want anyone else to experience the isolation and shame that mental health issues too often carry with them. There should be zero stigma around mental health. You are also active in helping women in India’s rural areas through your microfinance organization “Svantara”. What moved you to create such initiative? When you live in India, it is almost impossible not to be very conscious of the huge gap between rich and poor. I wanted to develop a vehicle to address this, so when I was 17, I founded my first company Svatantra, which means freedom in Hindi. It helps women deep in the Indian countryside to grow their businesses and become self-sufficient by giving them access to fair and affordable finance services. Most of us take for granted access to a bank account or a loan, or even just the internet, but these are tools that can change lives. Svatantra is a business with a heart. It’s not just about capital, but sociocultural development. I want to encourage women to fulfil their potential and achieve independence. Life can be very tough for these women, but the strength, intelligence and perseverance I see is inspirational. An entrepreneur, a musician, a social activist… the list goes on. What are some of the things you haven’t done that’s still in your bucket list? Music and business are the strongest forces in the world to engage people. In everything that I do, I want to connect with people and hopefully to make a positive difference. This year, I have more music coming out with another single in August and an EP round October. I really want to do more live music too, and eventually tour the world. My greatest hope is that all sorts of people listen to my music, no matter nationality, gender, sexuality, social background, relate to the lyrics or emotion, and feel a bit better about something they are going through. There is a lot still on the bucket list like taking MPower globally, climbing Kilimanjaro, setting up a sneaker brand…oh and recording with Eminem!